If you’re looking for a trustworthy house cleaning company in London, Keen Clean can provide just what you need. Our professional cleaning teams are made up of experienced and fully vetted cleaners. Call us 020 7101 43 25 now and let us organise your ideal home cleaning service. Our London cleaners are trained by industry experts and know how to deliver a perfect cleaning service for your home. All our crew members use quality cleaning detergents (supplied at your request) and top-of-the-range cleaning tools. With our professional cleaners, your house or flat will be in experienced hands. You have to be able to trust your house cleaners. After all, you’ll need to feel comfortable with them being in your home! That’s why we do a thorough background check and hold interviews in person for each cleaner. Only when we are sure we have hired a reliable person will we send them out to work for our customers. You can be sure that we take all the necessary steps to send you a cleaner that you can trust and build rapport with as well as being satisfied with their work. This isn’t an exhaustive list of the tasks we carry out – if you have additional requests just let us know and we can accommodate them. Our professional home cleaning packages will be tailored to deliver great results for each individual. 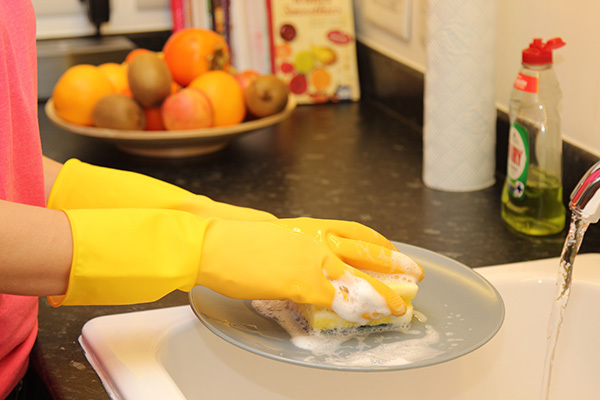 We can provide one-off deep cleaning, oven cleaning or window cleaning on top of our regular services. Just talk to our experts and they will give you a cleaning quote that meets your budget and needs. Call us on 020 7101 4325 for an immediate free price quote or to book a service. Our support assistants can tell you more about our excellent house cleaning service packages and offer you a really competitive price quote. Don’t hesitate to choose one of the best domestic cleaning companies in London!